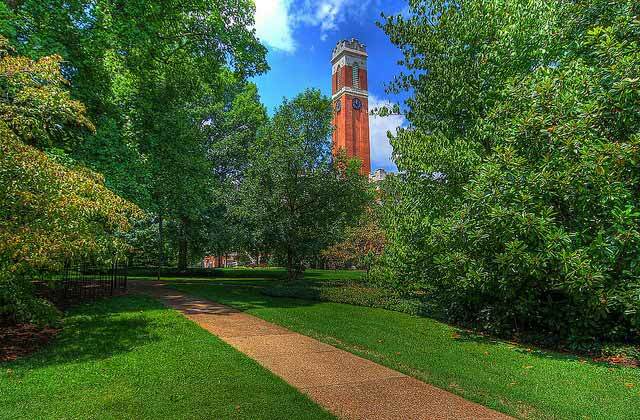 Vanderbilt is one of 220 institutions whose scholars are invited to apply to a new competition held by the Howard Hughes Medical Institute, the Bill & Melinda Gates Foundation and the Simons Foundation. The national competition will award grants to outstanding early career scientists as Faculty Scholars. This competition will strengthen the community of basic researchers and physician scientists who bring innovative approaches to the study of biological problems. Scholars will apply molecular, genetic, computational and theoretical approaches to fundamental problems in diverse areas of biology. Those conducting research at the interface of the biological and physical sciences are especially encouraged to apply as are physician scientists and others studying biological questions emerging from and applicable to global human health problems, including malaria, tuberculosis, HIV and other diseases that disproportionately affect individuals living in low resource settings. Awardees receive a five-year, non-renewable grant between $100k and $400k per year, with up to 70 faculty scholars being appointed. Applications from outstanding women and minorities under-represented in the biomedical and biological sciences are strongly encouraged. Ph.D. and/or M.D. (or the equivalent). Tenured or tenure-track position as an assistant professor or higher academic rank at an eligible U.S. institution, or, if at an eligible institution that has no tenure track, an appointment that reflects a significant institutional commitment. Federal government employees are not eligible. More than four, but no more than 10, years of post-training, professional experience. To meet this requirement, the applicant’s post-training, professional experience must have begun no earlier than June 1, 2005, and no later than July 1, 2011. Principal investigator or co-principal Investigator on at least one active, nationally competitive grant in the past two years with an initial term of two or more years. Career development grants qualify. Multi-investigator grants may qualify. Faculty scholars are required to devote at least 50 percent of their total effort to the direct conduct of research. It is important to check with your department and school before applying for this competition. Please establish eligibility and apply for the competition. The deadline for applications is July 28, 2015, at 3 p.m. (Eastern Daylight Time). Reference letters must be received by Aug. 4, 2015. All applications must be submitted electronically following instructions on the competition web site. A curriculum vitae, including a bibliography and a list of current research support. An overview of the applicant’s most significant research achievements (not more than 250 words). A summary of the applicant’s ongoing and planned research program (not more than 1,500 words; references and up to one page of figures are not counted toward the 1,500-word limit). A statement of the contribution that the applicant is uniquely poised to make to his/her research field, and, where appropriate, potential to result in new approaches to human health problems that disproportionately affect individuals living in low resource settings (not more than 250 words). Statements distinguishing the applicant’s current work from her/his mentors and another summarizing the applicant’s current collaborative efforts (each not to exceed 100 words). PDF files of three selected publications that report the applicant’s most important scientific contributions with a focus on the most recent five years, as well as a paragraph describing the significance of each publication. Two reference letters will be required for each applicant. If you have any questions about the foundation or its interests and priorities, contact Vivian Carmichael (vivian.carmichael@vanderbilt.edu), executive director, foundation relations, at (615) 875-4915. For additional information regarding the 2016 Faculty Scholars Competition please visit the website.